Georgia declares its first official Small Business Week! 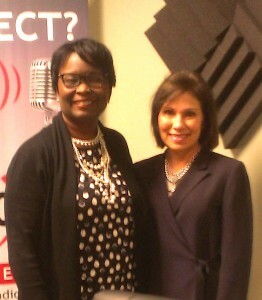 Our February 10th, 2015 show featured Ms. Mary McClanahan, Georgia’s Director of Entrepreneur & Small Business Development for the Georgia Department of Economic Development. The kick-off event at Georgia Tech for Small Business Week on Monday will highlight some of Georgia’s most innovative businesses in their “Rock Star” award series luncheon, so come prepared to get inspired by some of Georgia’s true path-blazers in some of the hottest sectors. As a precursor, however, tune in to find out what changes we can expect in 2015 for small enterprises, and mine the wealth of priceless information and resources Ms. McClanahan reveals will be the key to success in 2015 for small businesses. To find out more about Georgia’s first official Small Business Week kick-off at Georgia Tech, the amazing programs for 2015, and to get up to speed on some of the best resources for entrepreneurs and small businesses, please visit: http://www.georgia.org/business-resources/small-business-resource-directory/georgia-small-business-week/. As Director of Entrepreneur & Small Business Development for the Georgia Department of Economic Development, Mary Ellen helps find solutions and effective ways to build an enabling environment and support small business through mentoring, professional development, strategic planning, processes and resource awareness. She also connects with Georgia’s business and community associations so that thousands of businesses, local leaders and practitioners are aware of resources and opportunities. She also directs any sized businesses to the specific resources they need. Mary Ellen is also an Existing Industry Project Manager within the Metro Atlanta region. She calls on growing companies making them aware of state resources and incentives and provides assistance with their growth plans and decision-making process. Mary Ellen also works closely with the local economic developers with their economic development efforts. During her 16 years with the department, she helped develop and grow its regional economic development program, the “Entrepreneur Friendly” Initiative and acted as legislative liaison. Prior to that, Mary Ellen was the economic developer and president of two rural South Georgia chambers of commerce in Dodge and Sumter Counties. Originally from Erie, PA and in Georgia since 1973, Mary Ellen serves on the boards of GEDA (Georgia Economic Developers Association), GACCE (GA Association of Chambers of Commerce Executives), Georgia Mentor Protégé Connection, Advisory Council for the Edge Connection and the DeKalb Workforce Investment Board. She is a 1997 graduate of Institute for Organization Management, Leadership Georgia and a 2000 graduate of EDI (Economic Development Institute).